Jump in! 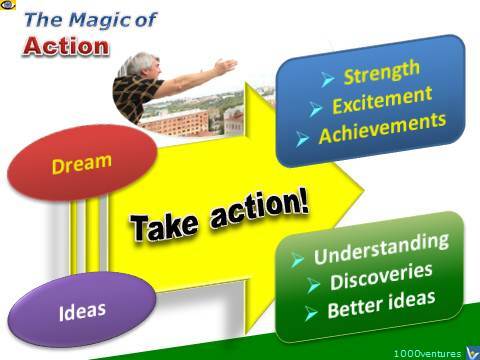 → Take action! If you fail, it's a → learning opportunity. If you → succeed, it's a learning opportunity. What shall we do the same way next time? What → capabilities should we build on and invest in? What went → badly badly and why? What shall we do better next time? What shall we do radically differently next time? What went unexpectedly well and why? Are there any new directions or market niches to be explored? How can we improve our → opportunity discovery capabilities in the future? What went unexpectedly badly and why? Why did we not foresee what happened? What assumptions are to be checked? 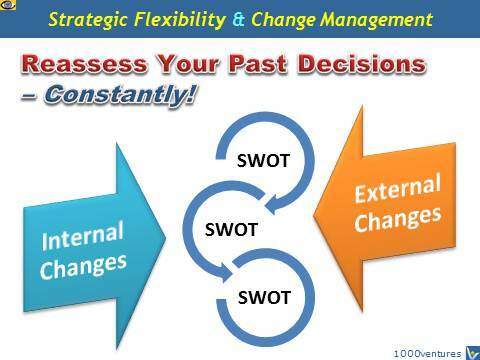 SWOT analysis is an effective strategic planning tool. “SWOT” stands for “Strengths”, “Weaknesses”, “Opportunities” and “Threats”. >> protect against or overcome threats. 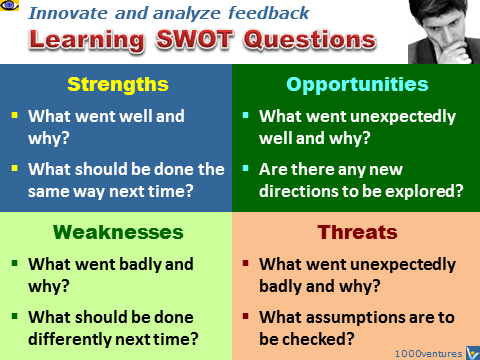 SWOT matrix can also be effectively used as a strategic learning tool for analyzing feedback received from experimentation, beta testing, test marketing of new products and for making strategic decisions.